The plot of Renegade is pretty action packed like the first book. There a little clues hinting to the answers to the readers questions before we do find the answers. I love a story like this that has a the thrill of mystery and being on the run. I actually wouldn’t have minded if Mila had been on the run on her own. I didn’t need a romantic aspect to help propel the story for me, it would have been fine without that. However it is definitely there. 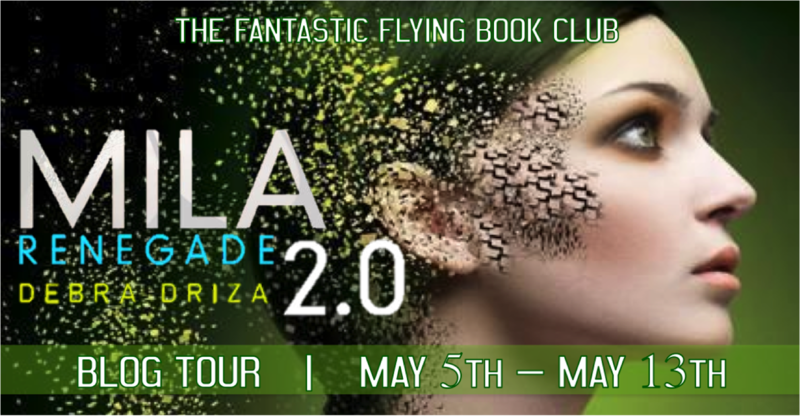 I was pretty angry with Mila at the end of the first book because she made that stinking phone call. 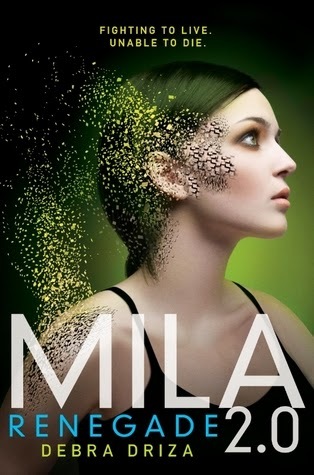 I was really bothered by the Hunter Mila relationship in both the first book and a bit in the second book. I couldn’t understand that if she liked Hunter so much why she would put him danger, especially after the way they tortured her mom to get to her. It would be one thing if she told him the truth and he made the decision to stay with her but she doesn’t. The whole thing does kind of come to a head during this book and honestly I wasn’t as upset with Hunter’s actions as Mila’s. She can act very spoiled and selfish. I think at the same time it’s a testament to how human like this Android girl is. As much as I found the whole relationship flustering, I think there was a point for it. We really see the softer more human side of Mila through Hunter.He brings out a different side of her. Now Lucas makes a lot more sense to me to be the romantic interest. Even though he really isn’t. Mila definitely has a fondness for him and even though we don’t get to see him a ton I love his interactions with her. There is something comforting about Lucas. Like someone we know is actually on Mila’s side. I felt like everyone else was really up in the air on the trust factor. Even people her mom sends her to. You never know what people’s motivations are or if they will help her or not. Getting back to Mila, I love her story. I love that she’s an android and that she is battling with that little of humanness she is feeling. It’s kind of strange and intriguing at times. I forgot often that she is not technically real. It made me wonder about what really makes her tick. I kept thinking there has to be more here, more to her than what we are seeing. I don’t want to give away too much about this book because of that whole thrill aspect when you read. It was fast paced and the plot kept moving and had a lot of interesting twist and turns. As far as the ending, well there is reason that you are going to want to pick up book 3. 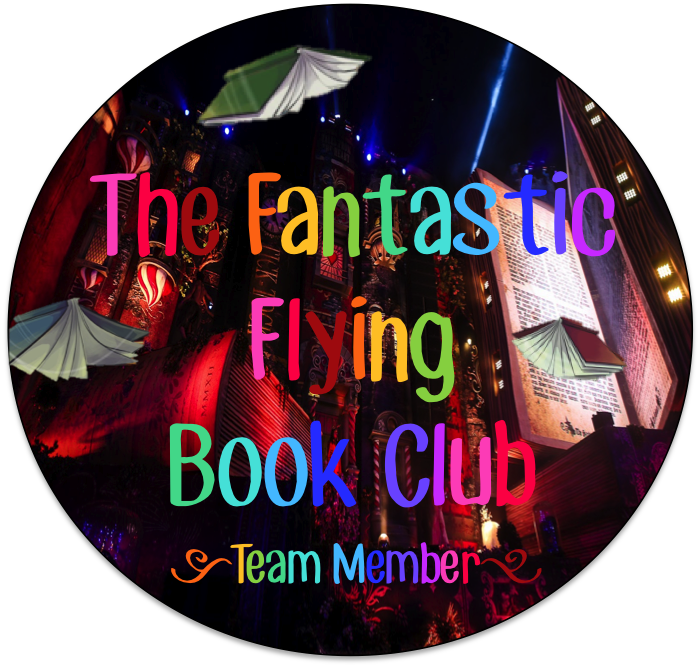 I think if you enjoyed the first book then you will like this book. It does not lag the same way second books do sometimes because there is a lot of new information and things just keep on rolling. I liked that this book really stayed on track with the story and kept me interested the entire time. 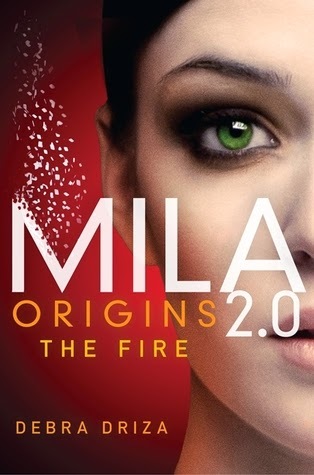 I’m curious to see how Mila’s story ends in the next the book. I got to meet the author at the RT Convention last May, and she was really cool! Love this series! I've read them all, but don't own book 2 yet, that's why I'm entering the contest. I have heard great things about this series and can not wait to get my hands on them so I can enjoy them myself!! Thank you for such a great giveaway!! !